The music played in cafes is diverse. Especially with an international staff working there. You can hear music of different languages filling beautiful cafes across Europe and so it would not surprise you to hear spanish, or french music, coming out of the speakers. International staff brings their music taste with them. But what about an Australian that lives in Sweden? 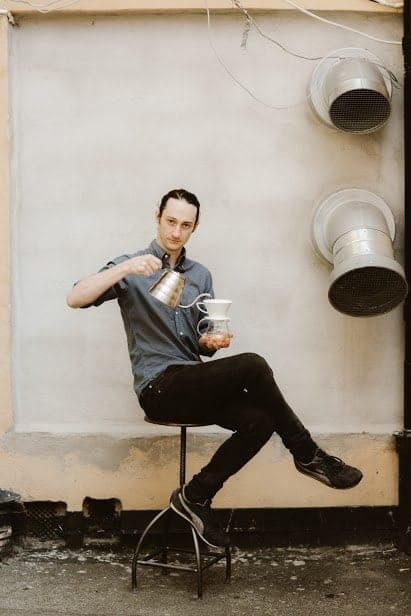 Steven Moloney, 2016 Swedish Barista Champion and the founder of Barista League shares a “weird mix of music” with us. He thinks it is weird, we think it is cool, with a clear influence of his time spent in Lund. We really enjoyed this playlist! 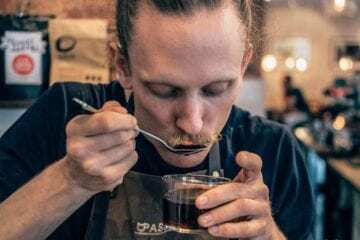 As the national barista champ he also sets an example to all baristas out there, promoting cleanliness behind the bar as one of the Urnex Ambassadors. 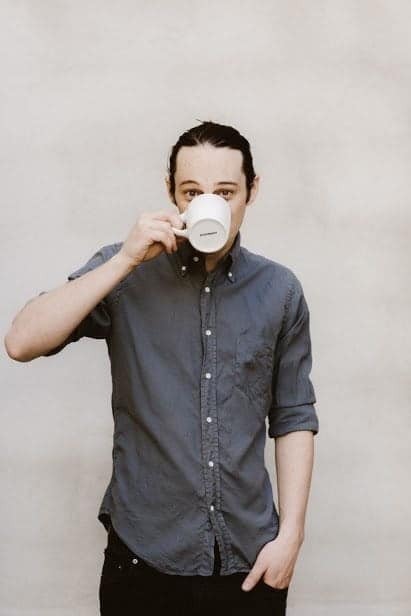 Check out what he enjoys listening to, and read a short interview before Steven gets on stage at World Barista Championship in Dublin! 7 – Doctor Doctor – Oh Pep! Steven, when did you become interested in competition? 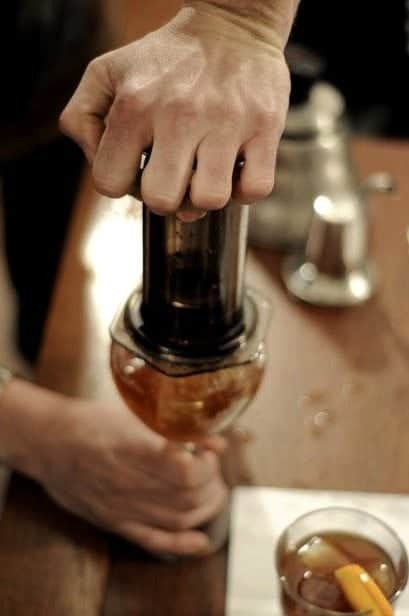 Did you have a coffee teacher or someone who introduced you to the craft? I have always been kind of competitive and my first proper coffee professor was the 2010 Barista Champion Emil Eriksson. Since then I kind of knew the competitions existed and I was a bit intrigued by them, even if they are totally crazy. I competed for the first time in 2015 and, with a lot of guidance, came in third. I think that after doing the bulk of the work in the first year it becomes easier and easier to prepare and compete again, even if you are so exhausted by the end of the competition that you swear you will never do it again. the WoC in Dublin. What has been the most difficult part so far? The lack of sleep. I work full time in the bar as well as practicing and so you basically have to accept you lose a few months of your life. I don’t think I have skyped my family in quite a long time, so here’s to hoping they will forgive me. How much time of your day is dedicated to practice? At the moment a few hours a day of actual practice, but any spare moment is spent talking to people about trays, transport, roasting, wording, accommodation, milk, money and all the other random stuff that goes along with it. As one of the 2016 Urnex Ambassadors you set an example to baristas when it comes to hygiene and cleanliness. If you were to give them only one piece of advice, what would it be? A great espresso will never taste good through a dirty machine. Full stop. Clean your portafilters, and showerscreens as often as you can. You can taste dirty equipment straight away and there is really no excuse except laziness for that. 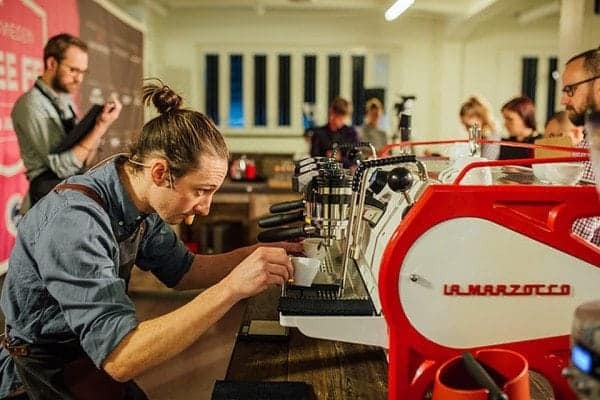 Talking about barista competitions, you have created your own, called Barista League. Could you tell us about your motivation behind its creation? 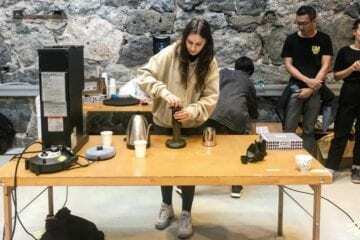 The barista competitions around in Sweden are great, but are so much work and require quite a bit of investment in time and money. I wanted to run an event where literally anyone could come along and have an awesome time, from a world champion to a new employee at a coffee chain. I wanted to strip away the stress and competitiveness and get everyone together to hang out and inspire each other. There are so many passionate people in coffee that end up hitting the wall or just running out of inspiration, it doesn’t take much for them to meet some exciting people and keep themselves inspired and engaged in the industry. It must be quite a lot of work to organise such a fun event, what were the biggest challenges? The amount of time arranging funding has been a bit staggering. I do everything in my own time after finishing work and this past year has been a busy one. 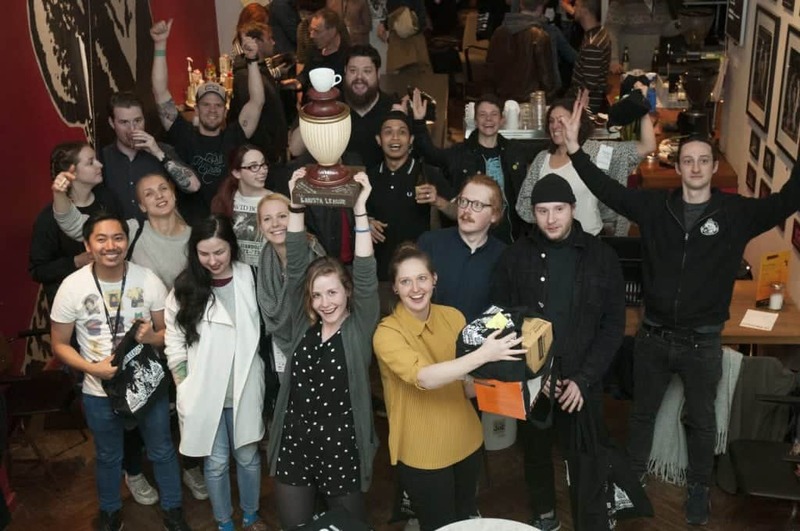 But the event has grown like 300% in four events and we are currently the biggest coffee competition in the Nordics, so it feels like it has been worth it. What are your future plans with Barista League? What is your vision for the next 3 years? The first step is to survive Dublin, and then we will see. But seriously we have an amazing event planned in Helsinki on August 27. I am super excited about this event; we have some really kickass stuff planned. After that I know there will be more events in 2017, but where and when is still a surprise. Do you have a preferable music choice for different brew methods? What is your favourite brew method? No, but ‘Welcome to the jungle’ (played at high volume of course) is always a good choice for closing the café. At the moment the coffees I have enjoyed most are from our batch brew at the café, when I get to chance to sit down and actually drink it. It’s the simple pleasures. What do you think about brewing espresso at home? Great if you have some time and cash. I love meeting people who are really passionate about espresso at home. For me it is totally pointless, because to do espresso well you really have to lay out some cash and bench space in the kitchen and since I use a big and expensive machine every day, and I have very little space left in my kitchen, I will stick to simple brew coffee thank you. Would you like to create a certain atmosphere with your playlist? What do you want your customers to feel like, when listening to your playlist at a cafe? I want it to be upbeat. I hate when cafes play elevator music or ‘Sunday morning jazz’ cds. It doesn’t have to be party music, just some good music that people can enjoy or tune out if they want to. Has your music taste changed after you moved from Australia to Sweden? If so, how? Not too much. I have next to no exposure to Australian Rap anymore, which I consider a big plus in the ‘living in Sweden’ column. music associated with that? What do people enjoy listening during fika?